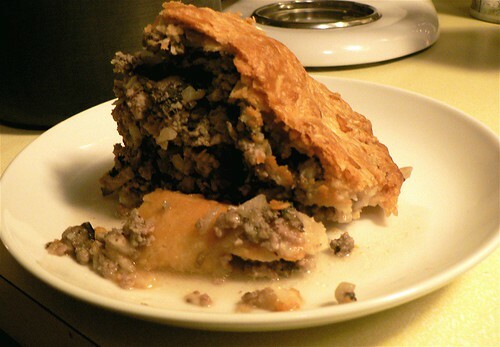 La Tourtière is a meat pie with it's origins deeply routed in the province of Quebec. It is traditionaly served with tomato Ketchup, but depending on the region and ones taste, it can really be served however you like it. Traditionally it is a pie that is eaten over the Christmas holidays by families across Canada (usually with French Canadian ancestry) and the North Eastern areas of the States (Vermont, Maine, New Hampshire, New York etc). reduce the temperature to 180° C (350° F) and continue baking for about 20 minutes until the crust is golden. Frankie's thought for the day . . .
Let me Indulge myself for a second.